In the case of my second Wake-Robin Ridge book, A Boy Named Rabbit, a little boy alone in the wilderness came into my mind as I was falling asleep one night. I could swear I heard Sarah Gray (from Book 1) tell me he needed for his story to be told, and by the time I woke up, I knew exactly who he was and why he was alone. I went straight to the computer and started writing down every word of his adventure, just the way he told me it all happened. He still talks to me, to this day. Sometimes, secondary characters in one of my books wave their hands around wildly, going, “Me, me, me! I have a story to tell, too.” So I write that one down, as well. I don’t work well from an outline. It slows me down, restricts what my characters want me to say, and in general, takes all my fun (and happy surprises) out of my writing. I keep a What-If sheet and brainstorm a bit on that, jotting down possible scenarios. And sometimes, when I start a new chapter, I’ll write down what I want to have accomplished by the end of it. That’s about as structured as I get. Believe it or not, I use Word. Yes, I’ve tried Scrivener, Pro Writing Aid, and others, but I always come back to the simplicity of Word. As for how I keep track of my characters, research, maps, and What-If sheets—the answer is folders. In another life, I was a secretary, then an executive secretary, then an administrative assistant. File folders were what we had, so they became second nature to me. I have a Main folder for each WIP, with subfolders inside for everything I need. The folder is pinned to my task bar as I write, and I can click on it for reference any time I want. For me, it’s cleaner, neater, and far less distracting than a writing program with either a steep learning curve or a ton of bells and whistles that distract me from actually getting a story told. I started my first book, Wake-Robin Ridge, with the idea of writing Romantic Suspense. It morphed in the middle into a bit of mild paranormal—a love story with a troublesome ghost. My subsequent books in the series have been centered around Appalachian legends, and feature a little boy with a powerful gift the mountain folks call the Sight, but which might be more familiar to many as a form of ESP. So Romantic Suspense went away to be replaced by something more mysterious and a little bit paranormal. I tried Romantic Suspense again for Swamp Ghosts, Book 1 of my Riverbend series, and it stayed true to the genre. But then, certain secondary characters (the Painter brothers) wanted their own stories told. While the next two books in the series do contain romance, the main drama in each stems from things like dysfunctional family issues, PTSD, and a few tragedies resulting in death or major injury. So again, Romantic Suspense went away to be replaced by—oh, I don’t know—Contemporary Fiction, perhaps? Then along came my Riverbend spinoff novellas (The Emissary 1 & 2) about overworked angels using hired help to keep an eye on souls in peril. Decidedly fantasy. I think. I think overall, my books might be breaking the genre rules, but what can I do? These are the stories my characters wanted me to tell. So I did. 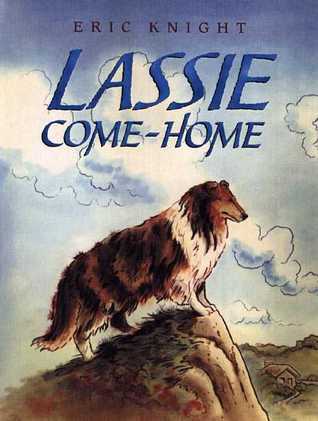 As a child, I was always a sucker for animal stories, so I’m not sure, but I suspect it would have been Lassie, Come Home. But I can’t begin to count the number of books that have made me cry over a lifetime of reading. Sometimes because the plot was so sad, sometimes because favorite characters died, and sometimes because the writing was so beautiful. A truly well-written line can make me cry to this day. Are there any authors whose work you admired at first that you then grew to dislike? Funny you should ask. I was just talking to a friend about a writer I no longer read. There are a couple, but one in particular comes to mind. I’m not naming names here, but I was a long-time fan of this author and loved every shivery, nail-biting moment in his earlier work. Then came a spate of truly bad books that made me rethink my original opinions. Some of them were well told, but were just hateful, mean-spirited stories. Others were just bad. Period. Then, I felt like the writer found his mojo again, and his books were worth my time once more. Alas. It didn’t last. I’m no longer interested in anything he does. Allies. I find writers that I’ve met or corresponded with to be the most supportive and helpful group of people I’ve ever known. And even those I’ve never met—or the few who haven’t been particularly friendly—are definitely not competitors. I mean, think about it. Books aren’t like paintings. You don’t pick out the perfect one to go over your sofa, and then stop shopping for them. The more books you read, the more you want to read, and the more you buy. And no writer, no matter how prolific, can produce enough books in an entire lifetime of publishing to satisfy anyone who really loves to read. There’s just no way your fellow writers can use up all your potential readers. At least, that’s how I see it. After years of reading just about every genre, including a lot of Urban Fantasy, I have finally discovered the sheer escapism of Epic Fantasy and have been wandering other realms for the last year or so. I don’t have as much time to read as I used to, way back BW. (Before Writing) But what time I do have, I’ve been spending in strange, alien kingdoms, rife with intrigue, mayhem, and battles with creatures large and small—all slathered with large dollops of magic. Why did I wait so long? No clue. But I’m making up for lost time, now. Sebastien de Castell, Scott Lynch, V. E. Schwab, Leigh Bardugo, Mark Lawrence, Robin Hobb, and pretty much anything by Brandon Sanderson, are just a few of the fantasy authors I’ve discovered I love. I think social media can be used very effectively, but I haven’t mastered the art of marketing. Yet. Blogging is something I really enjoy, but Facebook, etc., not so much. I’m trying to put together a social media marketing plan that combines aspects I like with ones that are effective in reaching a wider audience. It’s one of my goals for 2019. I think I’m pretty good at building a local readership, though, and do two or three appearances each month. I’ve done well using PowerPoint presentations on various topics, including my current series on Central Florida’s Fabulous Wildlife. Happily, these tie in with my Riverbend books, and I have a signing table set up for afterward. I also do Teas/Luncheons two or three times a year, Meet the Author Eco Tours on the St. Johns River, and I visit with private book clubs. All of these are fun and have netted me good sales. I believe online media marketing is vital for bigger numbers, however, and something I do intend to master. Read! I also enjoy gardening, birding, and nature. I used to canoe regularly until my back decided it was done with that, so now I go out on the river on my friend’s eco tour boat every chance I get. Do grandkids count? I’m blessed with three and spending time with them is pure happiness. All in all, I’m approaching my 75th birthday filled with gratitude for all the things in life I’m still able to do. And I recommend grabbing all the joy you can every day. Don’t forget to laugh. A lot! As my grandmother used to say, it’s good for what ails ye. May that face down day be a long time coming, Marcia! As always, a fascinating interview, for which thanks, both. I agree that characters are central to any story. Without strong characters, even a well-written plot isn’t going to be successful. I loved learning more about Marcia. Thanks for doing this, Don. It was a pleasure, Staci. Aw, thanks, Staci! The sofa thing came to me a couple of years ago, and it seemed to fit what I felt about authors as allies. I know there are a few who consider other writers competition, but it makes no sense. Books are art, but they not a one-time art acquisition. Readers will buy new books for as long as writers keep producing them. We may have teetering To Be Read piles, but we will never get tired of reading the next good book. Marcia, it was a pleasure. Thanks for sharing this. Yes I like just using word and real paper folders etc. I also let my characters make up their own story. My desktop is covered in “folders” – photos and documents, but I also love real paper! I knew you would make this interview exciting and interesting and you didn’t disappoint! And am I the only one trying to guess the author you no longer read? I think I know but I could be very wrong. I too don’t plot and it’s always great to meet another panster. I love your grandmother’s advice, Don’t forget to laugh!! You certainly haven’t. Aw, thanks so much, Darlene! So glad you enjoyed the interview. My grandmother was a hoot, honestly. I still miss her! Yes, best not to badmouth anyone as it could come back and bite you, you know where! I meant to mention that Old Yeller was the first book that made me cry, hard. In fact, I still cry thinking about it. Marcia, you named two of my favorite fantasy authors – Schwab (I’ll read anything she writes) and Bardugo (I’ve only read her Six of Crows series so far). I have at least one Sanderson book, but haven’t gotten to it yet. Great interview! Kaz will always be one of my fav characters – and I love that you named your cats Kell and Rhy, lol! A pleasure to do so, Don. It is a pleasure, Marcia. How wonderful to find Marcia featured here, Don. I have read, and loved, a few of her books and am amazed to know she didn’t plan Swamp Ghosts. Thanks for stopping by. Marcia is a wonderful interview subject. Thanks Jacquie. The interviews are easy when you have a great subject. Enjoyed learning more about Marcia! Great interview…must share. Great to see you here Marcia, and I’m secretly (well, not so much now) relieved to hear someone else has gone back from those other programmes to the simplicity of Word. I totally agree, when there is SO much functionality, I can’t face the time needed to learn it, or getting distracted by it. I also have folders within folders in Word – it’s just neat and easy to use. I do use the corkboard facility on Scrivener if I want to shuffle chapters around when I’m checking the timelines of my multiple plot strands, but I still go back to writing in Word once I’m organised. Thanks, Debby! And yes, Word does everything I need it to do without the learning curve and distractions, so why not? (As we say down here, if it ain’t broke, don’t fix it.) 😀 Everyone has their method, but mine is working for me so far. As for bulletin boards for notes, rearranging chapters, etc, I found a free one online, and I love it. I can set up as many different boards as I want, too, and have one for each book, so I can jot down ideas for promos and things, even after they’re published. I’ve been moving lots of my notes to it lately. It’s pretty fast, as I don’t have to open a big program to access it. (I looked through MANY online boards before choosing this one for ease of use and speed). OH, and I also set up separate boards for my own ToDo Lists and other functions. I keep it open in the taskbar for easy reference and find it to be quicker for me than the one in Scrivener. You can click back and forth between the boards in a flash, too. Very useful. I even have one for my garden, with plant photos and DIY ideas, and lots of other stuff. And you can mark each board Public or Private. It’s at pinup.com should you ever want to check it out. Fabulous, thank you, that sounds great – I always have to have a moment with Scrivener, trying to remember how to open and use the corkboard, but I’ve done so as I own the programme. On the other hand, easy to use sounds right up my street, so I’m off to check this one out! Hi, Michael! Thanks for stopping by. So many tools and programs out there for writers! I finally gave up on all but Word and a good bulletin board for notes, etc. Plus my own folders for ideas, photos, and the like. I agree, it’s confusing for newbies, until they find what works best for them. Wonderful interview, Marcia! I love learning more about authors. Well done, Don! It’s great to learn more about you, Marcia. I use Word also. Whatever I use, iPad or phone, I always email to my laptop and copy on Word. I loved reading animal stories also. Spending time with grandchildren is always a joy. Thank you, Don for the interview!